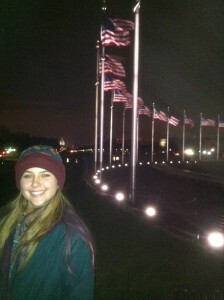 Spring Break in Washington D.C. 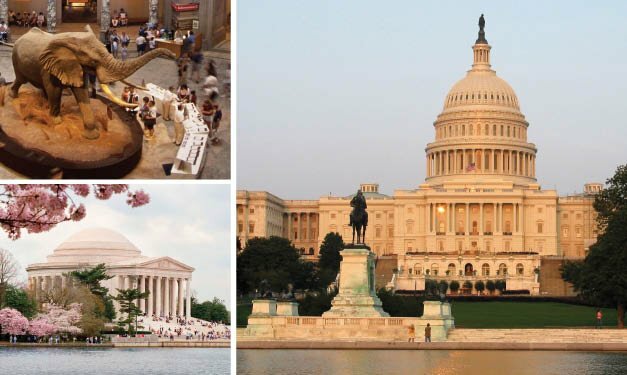 Visiting Washington D.C. during Spring Break is an educational journey in a fun, interactive way into U.S. history. The historic sights are awe-inspiring, the monuments thought-provoking, and many museums are free and filled with hands-on activities for children. 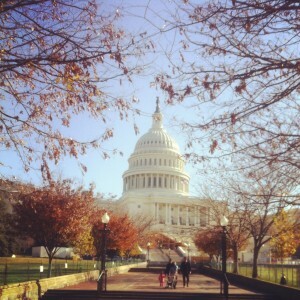 It’s easy to get around Washington D.C. by hopping on and off the Metro. Cabs are another popular mode of transportation. For a tour of the U.S. Capitol building, visitors can obtain free tickets on a first-come, first-served basis, at the Capitol Guide Service kiosk located along the sidewalk southwest of the Capitol (near the intersection of First Street SW and Independence Avenue). Ticket distribution begins at 9 a.m. daily. Families enjoy a guided tour inside the house at Mount Vernon. It allows visitors a peek into where history was made. Highlights include exploring the grounds with views of the Potomac, seeing Washington’s tomb, the slave quarters, and the children’s interactive area, where children dress in period clothes and play games children of that era enjoyed playing. The Bureau of Engraving and Printing offers a free tour of how money is made. Obtain a ticket at Raoul Wallenberg Place for the 40-minute tour. It opens with a short film, before walking through the building to view the printing process. A highlight is the display cabinet filled with counterfeit money and the gift shop offering souvenirs such as huge coins and shredded currency. The Smithsonian Institution is the world’s largest museum and research complex with 18 museums and galleries. The Smithsonian Castle is a good place along the Mall to pick up free maps and brochures. 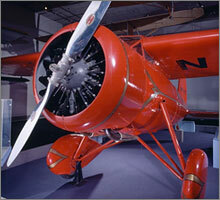 The National Air and Space Museum is the most visited museum in the world. Climb inside the cockpit of a DC-7, view Neil Armstrong and Buzz Aldrin‘s spacesuits, see the gliders and planes developed by the Wright brothers for their first flights, and marvel at a 4 billion-year-old piece of the moon brought to earth during the Apollo space missions. Visit the National Museum of American History to see Dorothy’s ruby slippers from The Wizard of Oz. Curious what the original Kermit the Frog puppet looks like up close? How about various gowns worn by first ladies throughout history? The original Star-Spangled Banner that flew over Fort McHenry and inspired our National Anthem is also here. The United States Holocaust Memorial Museum offers “Daniel’s Story” as told through the voice of an 8-year-old Jewish boy in 1930s Germany. First, watch a short film, and then walk through his “house,” read his journals, and look for clues to learn more about his family’s life. It will bring tears to your eyes. Families enjoy a trip to The Smithsonian National Zoological Park to see the Giant Panda Bao-Bao and the two lion cubs born January 24, 2014. A visit to Great Ape House can give children and adults a nose-to-nose experience (a glass window separated human and ape) with Tina, an orangutan. The zoo is always free. Near the Lincoln Memorial is the Vietnam Veterans Memorial or “The Wall.” Its simple black polished granite panels list names of more than 58,000 Americans who died in the Vietnam War. Rubbings are taken of the names by loved ones, and flowers and letters are left next to the wall. The Martin Luther King, Jr., memorial is adjacent to the Franklin D. Roosevelt Memorial and between the Lincoln and Jefferson Memorials. It is the first major memorial along the National Mall to be dedicated to an African-American, and to a non-president. The National World War II Memorial, dedicated in 2004, takes up the space between the Washington Monument and the reflecting pool that stretches to the Lincoln Memorial. There are 56 pillars representing a state or U.S. territory of that era. Two pavilions represent the victories in the Atlantic and Pacific. Built in the style of Jefferson’s Rotunda at the University of Virginia, The Thomas Jefferson Memorial is near the banks of the Tidal Basin. During Spring Break hundreds of cherry trees, given by the Japanese government, are in full bloom. Paddleboats can be rented from the boathouse on Maine Avenue. 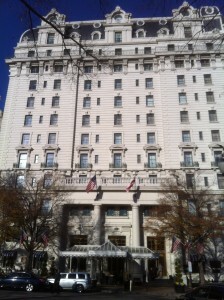 The St. Gregory Hotel (2033 M St. NW, Washington, D.C., 800-829-5034, http://www.capitalhotelswdc.com) is near Georgetown, and minutes from the White House, Smithsonian, and three Metro stops. Many rooms are suites with a kitchen, sitting area and cozy bedroom. It’s ideal for families. The Willard International (1401 Pennsylvania Ave., NW Washington, DC (800) 327-0200 is a historic landmark hotel located in the heart of Washington, DC, within walking distance to the National Mall, the White House, government and business offices, the theater district, and many other sightseeing attractions. Founding Farmers offers farm-inspired American Food & Drink in a modern, casual, and eco-friendly setting. Breakfast, lunch, dinner, and brunch menus include homemade and “scratch-made” traditional American classics inspired by the heartland. They serve soup, salads, sandwiches, burgers and hearty entrees. D.C. Cupcakes – Sisters Katherine Kallinis Berman and Sophie Kallinis LaMontagne are the co-founders of Georgetown Cupcake, stars of the hit series DC Cupcakes on TLC, and best-selling authors of The Cupcake Diaries. There are 20 Everyday Flavors and 7 Specials of the Week. Try Bubblegum, Chocolate Coconut, or Sunshine Chocolate. A historical journey to Washington DC during Spring Break is a vacation the entire family will remember. – This site provides information about upcoming fairs, festivals and events and promotes hotel specials, in addition to basic visitor information about what there is to see. – Since so many of the sites around Washington are owned by the U.S. government, this site is a natural. Get the lowdown on all the parks, memorials and historic sites here. This article was published in the March 2014 issue of Destinations Travel Magazine – http://destinationstravelmagazine.com/March2014/#/60. Next Post Plan Check on Fairfax Ave.